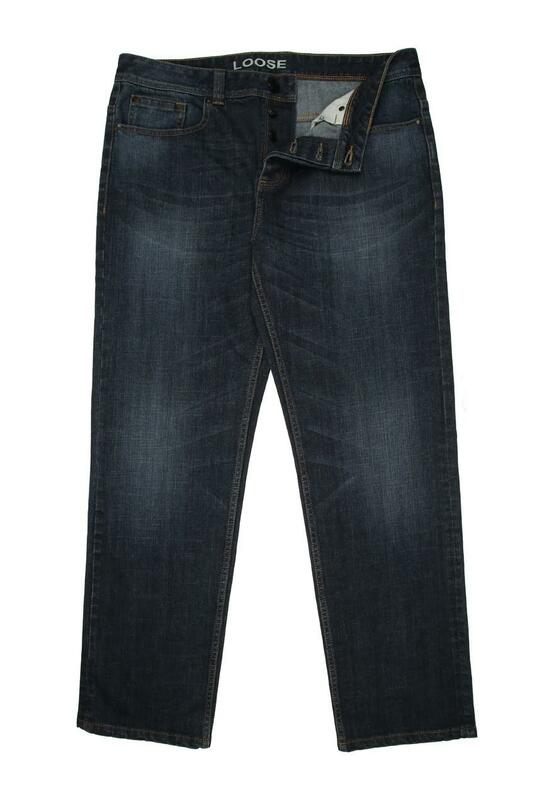 Opt for a relaxed casual look with these men's indigo loose fit jeans. 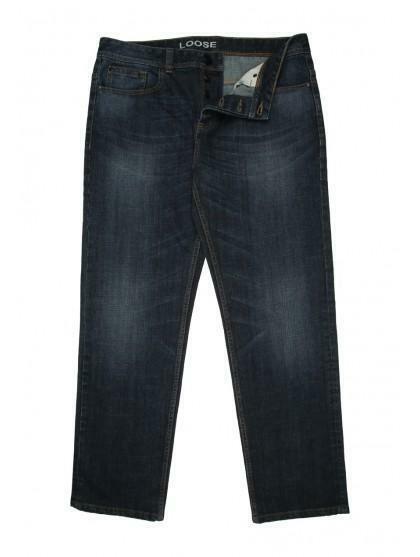 With front and back pockets and button fastening, these jeans are the perfect pick for off duty days. Even though they were the only ones in all of your ranges that had the right waist size in stock they still needed to be altered for leg-length as (with most vendors) my particular waist size presumes that I am going to be 34" inside length. Still I suppose I should be grateful that you had any at all. Good fit and on offer, so bought 2 pairs! Free delivery too!